Our criminal defense law firm based in Philadelphia handles a lot cases across the river near the from Pennsylvania, specifically Camden, Burlington, Gloucester, Cape May, and Atlantic Counties, New Jersey. Prior to going to court with clients we spend a considerable amount of time answering their questions regarding their constitutional rights and the procedures associated with any criminal offense. We often receive questions about DWI in New Jersey because procedurally, the State operates must differently than the Commonwealth. Keep in mind that while New Jersey and Pennsylvania share a border and bridges but the operate much differently when it comes to drunk driving offenses, along with offenses involving illegal drugs, and especially illegal firearms (Graves Act). Unlike Pennsylvania, if a person is charged with a violation of the Garden State’s drunk driving statute (NJSA 39: 4-50(a)) he or she doesn’t right to a jury trial. Many people find this hard to believe because there are situations where a person convicted of DWI in New Jersey can face a mandatory 180 day jail sentence if it is his or her 3rd or subsequent offense. Despite this penalty, drunk driving isn’t considered a crime within the meaning of the New Jersey Constitution. This is different than the way Pennsylvania interprets DUI, where drunk driving is a crime (misdemeanor) within the Commonwealth crimes code. While the current New Jersey drunk driving statute requires the imposition of penalties and other mandatory minimums, it doesn’t categorize drunk driving as any more than a “petty offense”. While obviously the New Jersey legislature is concerned about drunk driving and driving under the influence of any drugs or alcohol because it creates a public safety threat, it has specifically not categorized drunk driving as a crime so that individuals within the Garden State charged with DWI are not entitled to trial by jury. Keep in mind that the Unites States Supreme Court case of Baldwin v. New York entitles any person to a jury trial whenever the offense for which he or she is charged carries a maximum prison term of greater than 6 months. Finally, even if a person is charged with an indictable crime in addition to DUI (Assault by Vehicle), the DUI portion of the prosecution will be decided by a judge while the indictable offense (the assault) will be put before the jury if that’s what the accused person selects. Remember that while you may be entitled to a jury trial, it is sometimes better to proceed with a judge alone trial from a strategy standpoint. 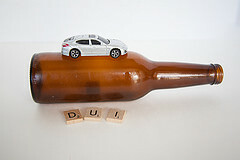 For more information on New Jersey drunk driving and Pennsylvania DUI keep reading my blog and visit my free download section.